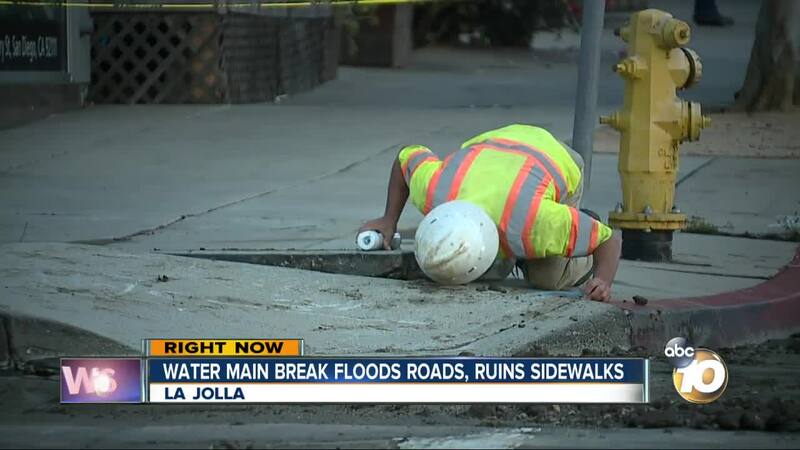 Water main break in La Jolla shuts down roads. 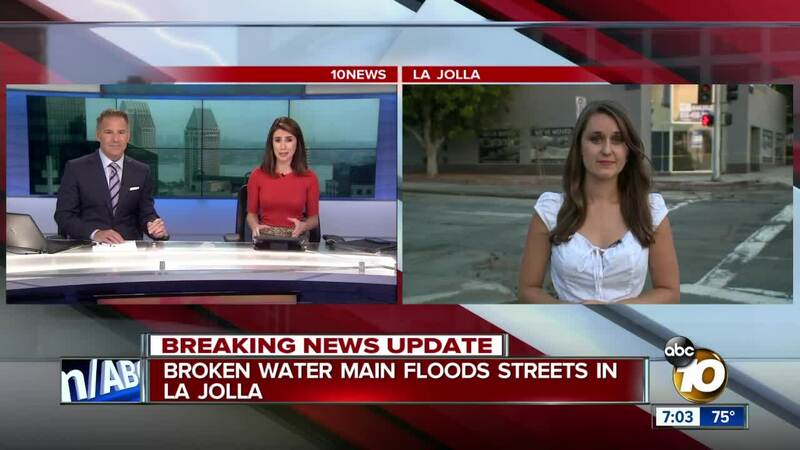 LA JOLLA, Calif. (KGTV) -- Several streets remain closed in La Jolla after a water main break on Girard Avenue. Around 5 p.m. Friday San Diego Water crews responded to reports of flooding at the intersection of Girard Avenue and Pearl Street. "I mean it was gushing out like a geyser it was really wild, now here I come back 20 minutes later and what a muddy horrible mess, but you have to imagine the power to raise the sidewalk into a point like that," La Jolla Resident Nancy Woelfel said. Water transformed streets into rivers, snarling traffic and wreaking havoc on businesses in the area. The flow of water was at such a high pressure it pushed the sidewalk up in multiple places at Girard Avenue and Pearl Street. As of 9 p.m. Pearl Street remains closed from Girard Avenue to Drury Lane and Girard Avenue remains closed from Pearl Street to Torrey Pines Road. Water crews said break happened on a fire hydrant line. No residences are without water.